Sometimes a thing is more than the sum of its parts. 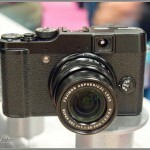 That appears to be the case with the new Fujifilm X10 compact camera. 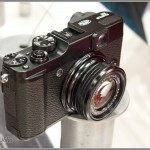 The X10 was patterned after Fujifilm’s super popular X100 fixed lens digital rangefinder. 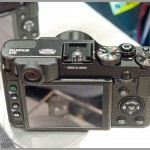 It has similar retro styling but with a more consumer-friendly 4x zoom lens and a smaller body. The X10 is an impressive and handsome compact camera on paper. But sometimes you just don’t get the complete picture from a press release or a conference call. I got to see the X10 in person today at the PhotoPlus Expo show in New York and it was a lot more camera than I expected. Based on the official press release, specs, photos and my own announcement article, I expected a pretty standard high-end compact akin to the Canon PowerShot G12 or Nikon Coolpix P7100. It looks more rangefinderier in person, has great controls, manual zoom and the die-cast magnesium body has a really solid, metallic feel that’s a lot more digital SLR than point-and-shoot. 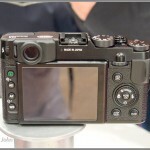 I think people who were hoping for an X100 lite are going to be very happy with the X10. 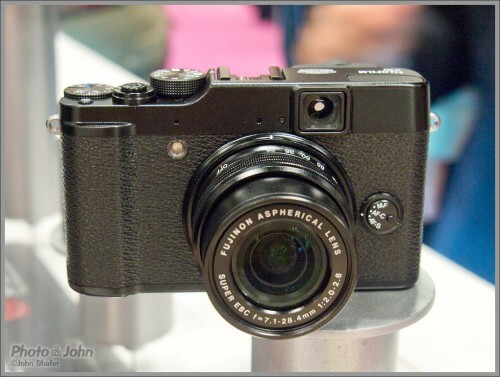 The Fujifilm X10 has a large (for a compact camera) 2/3-inch 12-megapixel EXR CMOS sensor making it a pretty sure bet that the image quality is going to be very good. The lens is a 4x 28-112mm (equiv.) 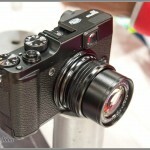 f/2.0-2.8 Fujinon Super EBC zoom lens – top shelf Fujifilm optics. It has a real optical viewfinder, RAW mode, a flash hot shoe and can capture full HD video as well as full-resolution stills at 7 frames per second. Serious photographers who appreciate classic camera styling and real performance are going to dig the X10. It was certainly one of the happy surprises of my first day at this year’s PhotoPlus tradeshow. The X10 will be available in November for $599.95.